To round out the end of Sunday night we all decided dessert was in order. We had just finished at Eataly so we wandered down to Gramercy Tavern for my favorite German Chocolate cake in the city. Unfortunately the Tavern was packed (damn you holidays) so we made an audible and walked up to Maialino instead. One of Danny Meyer’s other restaurants, Maialino was also busy but the front bar area was wide open. We grabbed a table near the window and decided to continue on our kick of wine. 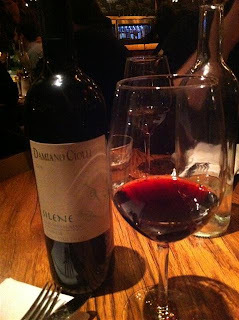 We ordered a bottle of Cesanese di Olevano Romano and hunkered down with the dessert menu. I didn’t really even have to look. 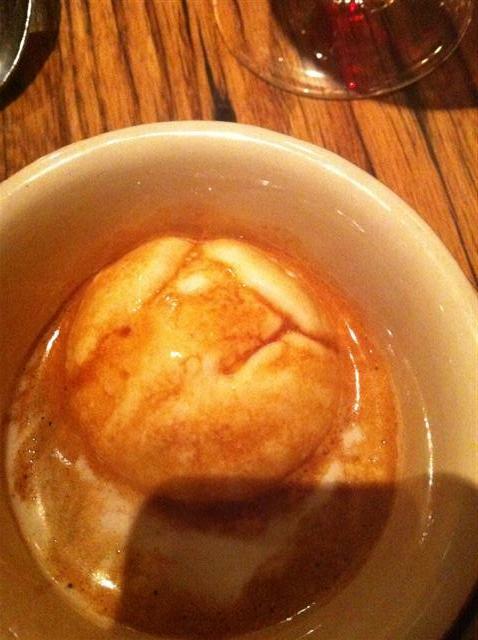 I knew my order before even walking inside- one of my favorite Italian specialties an Affogato. I love, love, love gelato and I like espresso just as much so putting these two together was just simply divine. I left Maialino completely satisfied and happy. So there you have it. After an incredibly rough morning, Sunday turned out to be quite a success after all.